Like many a Facel owner, he had suffered at the hands of overheating. The simple problem is that there’s a big engine shoe-horned into quite a small space. The engine produces a lot of heat and there simply isn’t enough air around the thing to allow it to cool. The engine originally came from big American cars but there is space around it in those big machines and pick-ups so that it didn’t overheat in a Nevada desert. One of the problems highlighted by John Barton was that the Facel radiator – adapted for right hand drive and power steering – allowed the water to go straight from the top of the radiator where it was piped in, to the outflow halfway down the radiator – and not through the radiator cores. He had a blanking off plate to ensure that it flowed through the cores. Of course extra cores and fans helped as well. Facel Vegas weren’t the only cars to suffer. One of my other favourite stories concerns the first appearance of the Jaguar E-type on British race circuits. This was at Easter 1961, around a month after the car had been launched at the Geneva Motor Show. It was due to be a doubleheader race weekend: Oulton Park on Good Friday, Goodwood on Easter Monday. Two cars had been prepared: ECD400 for Tommy Sopwith’s Equipe Endeavour, driven by Graham Hill and 4WPD for Roy Salvadori in John Coombs’s car. Graham Hill won for the E-type first time out at Oulton Park with Salvadori in third behind Innes Ireland’s Aston Martin DB4. I went to Goodwood on Easter Monday but the E-types non-started, something which I didn’t remember. However, I do remember that every single Jaguar dealer was there in his new E-type demonstrator, and my abiding memory on the way back home in the queue north to Petworth was that of E-types doing u-turns as the dealers left the queue in their overheating E-types. I expect they were joined by Rob Walker in his HK500 as he’d entered Stirling Moss in a number of races that day. I was telling this story to Rob van Leeuwen and his brother John in West Australia the other day as Rob has an E-type but John – who restored the car – then told me about Evans waterless coolant which he swears by. This is a fluid with a boiling temperature way above anything you’re ever likely to attain with a Chrysler engine, so that even in West Australia, where the temperature reaches 40 degrees regularly in the summer – it’s that today, as I write this – you’re unlikely to suffer the overheating that Rob Walker suffered with the Facel. 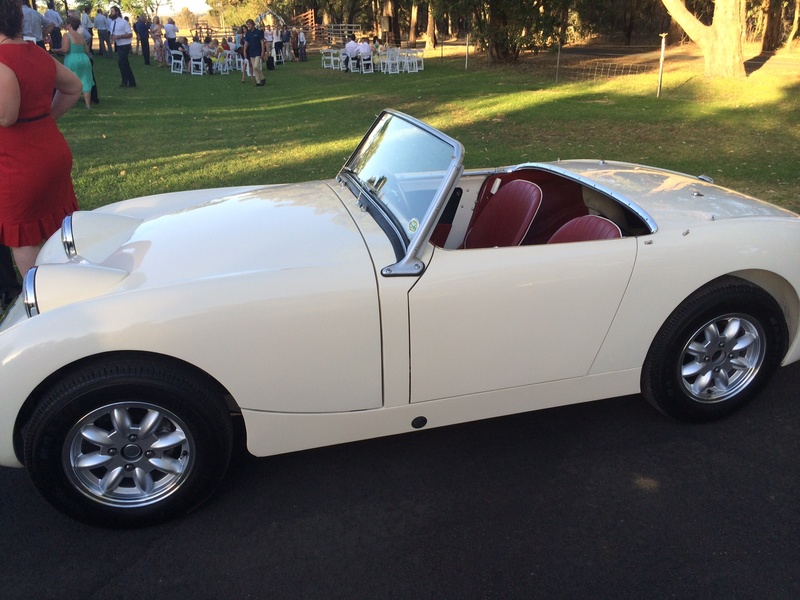 John van Leeuwen not only restores cars near Perth but also prepares classic racing cars; he runs a frog-eyed Sprite as his daily driver and never suffers overheating from its 1.3 litre engine. He explained that “I am most definitely a convert. Having spent my life working on cars I have seen more than my fair share of products that make unrealistic promises and don’t deliver. This one is different as it actually does everything it claims and I have a number of vehicles running the stuff with great success. “British cars (especially older ones) typically struggle terribly with overheating in this part of the world for obvious reasons. I could give you all the reasons for using it; however their website probably does a better job than I can. For me the two big plusses are the very high boiling point and the fact that you can comfortably reduce the pressure in the cooling system which reduces the chance of component failure. From what I have read it also works at the other end of the temperature scale which is probably of more interest to you. Freezing isn’t really an issue for us! Preparation is fairly important to get rid of all the water in the system. 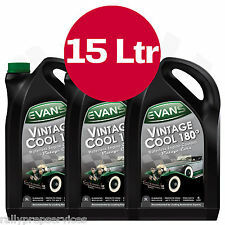 There is a separate fluid that does this before you fill up with Evans’s coolant. If anything’s going to stop you, however, it’s the price. It costs approximately £60 per five litre container; an HK500 cooling system takes 44 pints which is just over 25 litres, which means over £300 instead of the stuff that comes out of a tap. But John says you’ll never need any more unless you suffer some kind of a leak. You can even drain it and use it again after filtration. And it would be advisable always to carry some with you in case you lose some. It is interesting to read how Evans warn against the use of that stuff coming out of the tap and the disadvantages of ordinary water. They make a good case for their own product. For more, see www.evanscoolants.co.uk. There is an extensive network of suppliers and sure to be one not far from you.